Craft: The craft of these three images chosen was based on the most random pictures I could come about taking for this collage project. 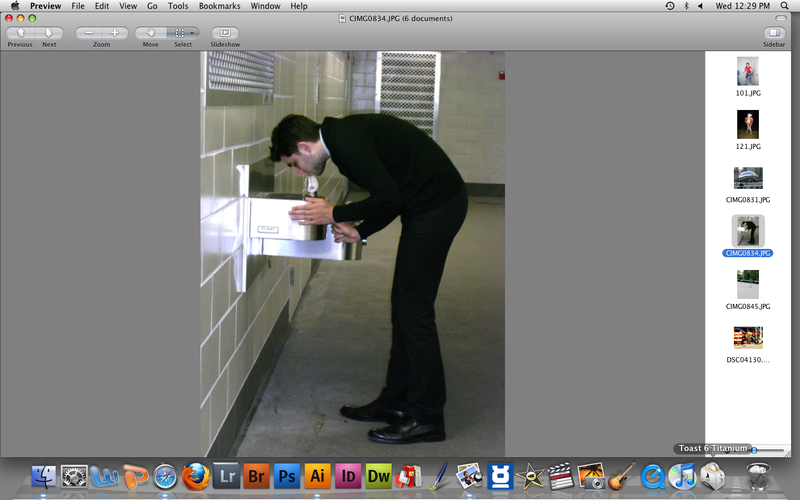 The first picture is of a person drinking from a water fountain in a rest stop in Chicago, I believe I took this photo in Chicago near Millennium Park. This picture was taken with a common digital camera tilted so that the image would come out horizontal. The second photo was taken from the same digital camera, but in the location of my dorm room restroom. 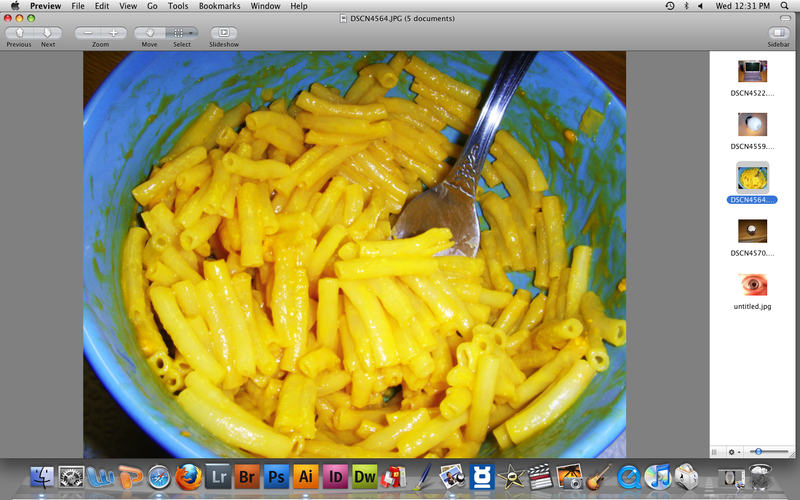 This image falls along those random lines that I was going for with this project, and the last image is of a yummy bowl of mac and cheese. For all three of these images the tool I used was my digital camera. So the medium was photography ... yay! So in conclusion the tools used are a random person and a chicago water fountain, my dorm toilet, and mac and cheese in a blue bowl. Concept: What I was going for with this first image was more of a vulnerable state of an individual because I thought it would create a better effect in the overall collage with someone in an unexpected position as opposed to the normal walking, running, or jumping pose. The second image was taken to create a more unexpected disgusting feel to it, I figured that having a background as a toilet (if I choose this photo) would leave people wondering about the nature of this overall collage once finished. 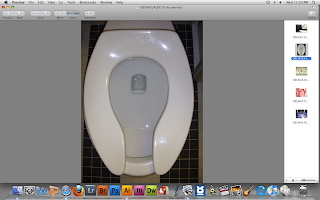 The last image is of a bowl of mac and cheese, I thought this would match well with the photo of the toilet because, well... I'm pretty sure you understand where this is going.